Walk the 100 year old National Pass walking track along the cliffs and waterfalls. NOTE: NPWS has closed the National Pass track from 31 Aug 2017 for safety reasons. The National Pass, from the Conservation Hut. 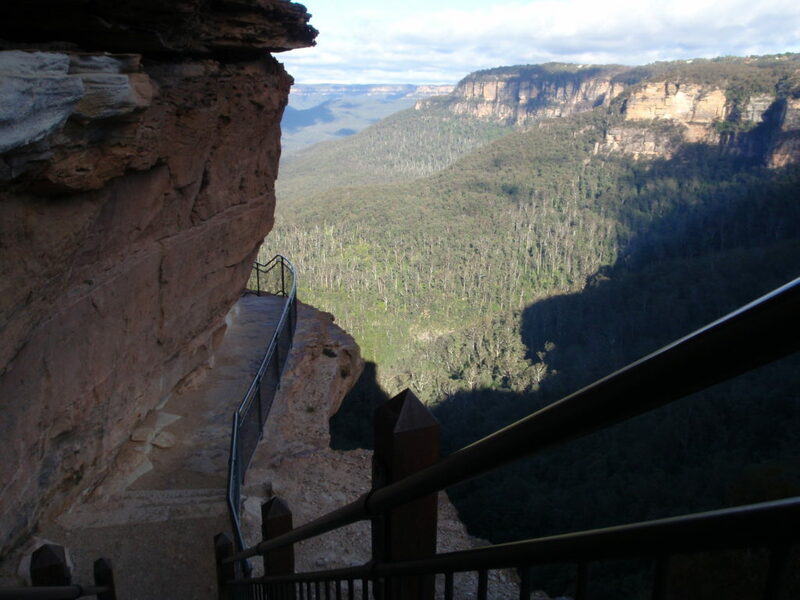 Walk from Wentworth Falls Station to the Conservation Hut, then National Pass, and then Darwins Track to return to the station. Beautiful scenery, some roads and mainly good tracks. No need to contact leader. Hundreds of steps down and up.